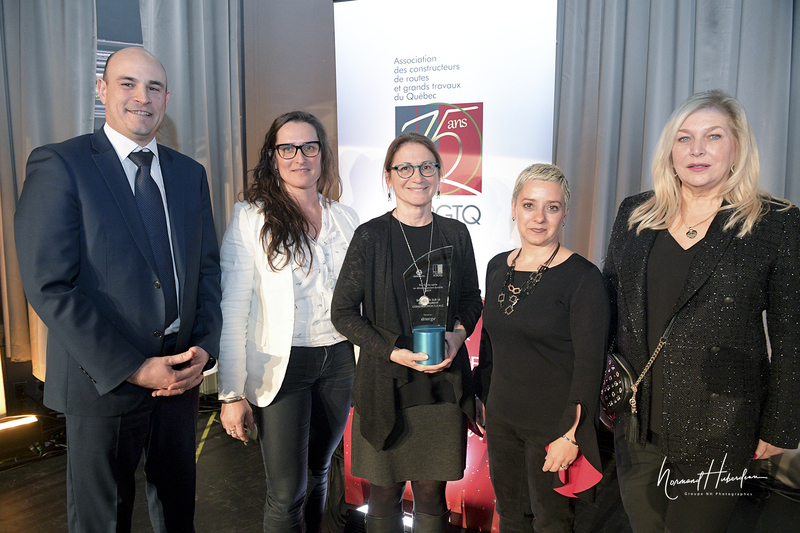 SSL received the Prix Génie-voirie en développement durable from Quebec Road Builders and heavy Construction Association (QRBHCA) at the QRBHCA convention, which took place mid-January in Quebec City. The purpose of the Prix Génie-voirie en développement durable is to raise awareness about the importance of carrying out activities while taking into account the sustainable development issues. As part of the Samuel De Champlain Bridge project, Signature on the Saint Lawrence went beyond the contractual requirements. The commitment and the beneficial effects on the environment have been multiple. This includes the massive reuse of demolition materials, the targeted reuse of excavated soil in accordance with a risk assessment, as well as good relations with communities impacted by our works. The project has also achieved the highest level of platinum recognition of Envision® certification from the ISI (Institute for Sustainable Infrastructure) in June 2018. The QRBHCA Board Chair, Marie-Claude Houle, presented the first “prix reconnaissance mixité” award to Signature on the St. Lawrence. 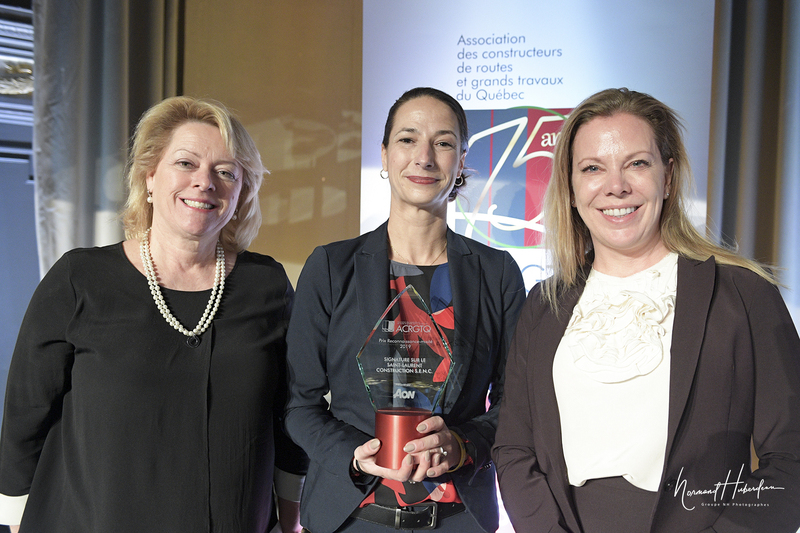 Responsible for the construction of the new Samuel De Champlain Bridge, SSL is the organization that, in 2018, employed the largest number of women holding a certificate of competence in the construction industry.